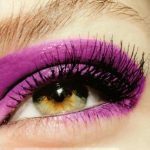 [dropcap type=”1″]E[/dropcap]very year, specific colors are sweeping the fashion and beauty industry. 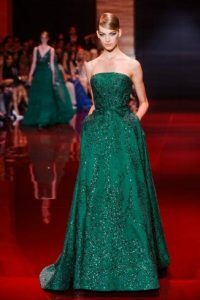 Last year it was emerald green that we were seeing everywhere; Stella McCartney presented it in her 2013 Spring collection, Carolina Herrera chose it for her Fall/Winter 2013 collection and so did Elie Saab. The year before, tangerine colored almost everything, from lipstick to shoes to interiors. Have you ever wondered why? Why is it that every year a specific color dominates while the rest are side-helpers? The answer to this question is simple: Pantone©. Pantone© is the world-renowned authority on color which provides a standard language for color communication from designer to manufacturer to retailer to customer. It was created in 1963 by Lawrence Herbert in order to solve the problems associated with producing accurate color matches in the graphic arts community. Each individual sees color differently, so a system was necessary to determine standardised color and make communication and color needs between design and production professionals easier. The idea of designating a color for every year started in 2000 by the Pantone Color Institute™ in order to express in color what is happening in the world. 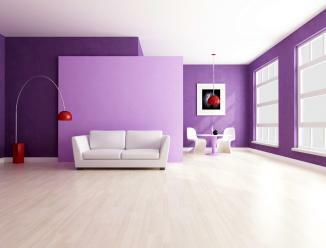 The color of the year is selected to reflect what people need and look for, an expression of a mood, an attitude. Picking the specific color each year requires careful consideration. The designated team combs the world looking for future designs and influences from the entertainment industry, arts, technology, socio-economic conditions, even upcoming sport events that draw worldwide attention. The color of 2014 is Radiant Orchid (PANTONE 18-3224 Radiant Orchid), “an enchanting harmony of fuchsia, purple and pink undertones. A color that inspires confidence and emanates great joy, love and health; a captivating purple, that draws you in with its beguiling charm,” as described by Leatrice Eiseman, executive director of Pantone Color Institute. 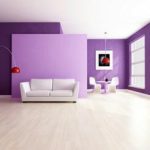 Radiant Orchid is a very versatile and dashing shade that, based on previous year’s color history, will have a strong presence in the fashion, beauty and interior design. Pantone© expects that people will become fond of it swiftly as it is the perfect color to liven up neutrals like grey and beige, complementing beautifully olive and deeper hunter greens as it is very seductive when paired with red. This rosy, engaging hue flatters almost all skin tones producing a healthy, vigorous glow. 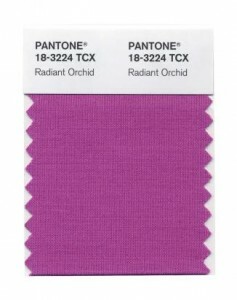 It has already been introduced to the runways of various fashion designers, who were waiting in anticipation for Pantone© to set this year’s color, and many believe that there will be many Radiant Orchid moments in this year’s Oscars ceremony. We will just have to wait and see. Still, Pantone© has given me the perfect excuse to buy myself my first pair of shoes for 2014 that will look great with my favorite grey pencil trousers. A great start for a truly Happy New Year!